"Everest: Conquering Challenges with God's Mighty Power" was the theme for Summer Bible Experience (SBE) this year. "WHAT KIND OF CHALLENGES ARE YOU FACING?" Financial drought, worn out or tired relationship, old car requiring constant repairs, another deployment? Where can you find the strength and means to face those challenges? Summer Bible Experience (SBE) offers ALL parishioners, from cradle to rocking chair, a way to "Conquer Challenges with God's Mighty Power". Participants will refresh themselves through sharing a meal together, allowing themselves to be renewed through music, basking in the golden light of God's Word, and entering the playful presence of God together. If you follow this link you can view more pictures. A HUGE thank you to the Decorations and Registration committees for doing an amazing job!! We would like to share with you a couple of photos taken during the planning and making of the decorations. Truly amazing things were happening as SBE was being planned! 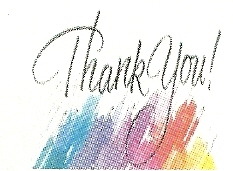 A HUGE Thank You to all who helped and attended the Summer Bible Experience. Thank you also to Meg Hunter-Kilmer, "The HOBO for Christ", for visiting with us. SBE was a huge success with over 150 participants and we can't wait until next year for an even bigger success. 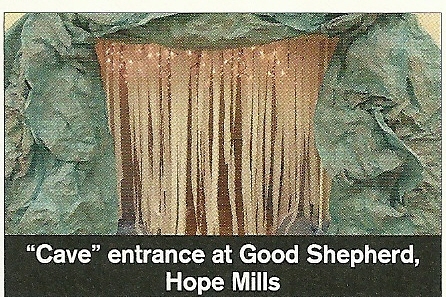 Our Vacation Bible School was featured in an article that was in the September issue of The Diocese of Raleigh NC Catholic Magazine. Please Click on the "Cave" picture to view.